When installing, we recommend that you install one instance of Enterprise for Windows (on a server) and then connect to it from your individual work stations using shortcuts. This way, updates and configuration issues are all handled at one location. 1. Run the appropriate Crystal Reports Runtime msi (32 or 64-bit) on your server. If you are using Avatax, 64-bit is required. 3. When it asks you for the username and organization just enter your name and your company name and click next. 4. Make sure that you leave the default options for installing both Crystal Reports and BirdDog Enterprise. In some instances, you will not see the Crystal Reports option. The software will not work properly without Crystal Reports. You can safely change the directory it will install to. 5. Unzip and copy ActiveReports into the Enterprise folder. 6. Unzip and copy Infragistics into the Enterprise folder. 7. Run the BDClientSetup.msi on the server. 8. 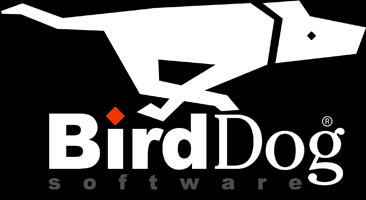 When you run the BirdDogSoftware.Enterprise application, the very first time you run it, you may be required to Run as administrator. All subsequent times, you may simply double-click on it and it will run correctly. 1. If it is your first time running it from this machine it will ask you for the SQL Server Name where the database is located, and for the Database name. In the Type dropdown choose Microsoft SQL if the Database is a Microsoft SQL Database. For Username and Password you can leave those blank and check the box that says Use Trusted Connection or you can enter a Username and Password that can log in to Microsoft SQL. This information will be saved after you do it once, so this is generally a 1 time only event per machine and the information will automatically be populated the next time you run the software. Now click the Login button. NOTE: The first time you connect to the database, use an admin log in. This will allow the Enterprise for Windows to make any changes to the database schema that are necessary. 2. You will now be prompted to Login to the software to use it. 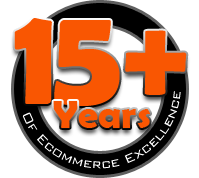 You need to use the credentials of a user that was created with the Enterprise User role (Enterprise Users are licensed from BirdDog Software. The software comes with 1 user by default). If you are unsure of what user to use initially you can user Admin / p2008. Once you get the software setup you can then create new users and assign them roles if you have the licenses for the users. Your software is now installed and configured. You are now ready to start using your new software! Run the appropriate Crystal Reports Runtime msi (32 or 64 bit). Create a shortcut to the Server and Enterprise app created above. Follow the instructions above for connecting to the database and logging in.